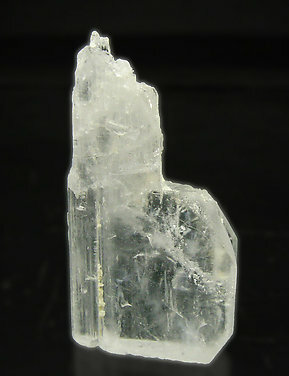 Single and very aerial crystal of this very uncommon borate. It has very well defined faces and edges and is colorless, translucent and bright and it is on matrix. A Hambergite of exceptional quality. A novelty at Tucson 2010. 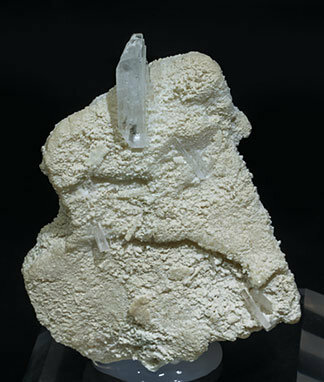 A floater crystal with very well defined faces and edges, a very unusual shape for the species, with a very obvious twin, a very good luster and an excellent degree of transparency.